Product prices and availability are accurate as of 2019-04-19 09:29:05 EDT and are subject to change. Any price and availability information displayed on http://www.amazon.com/ at the time of purchase will apply to the purchase of this product. 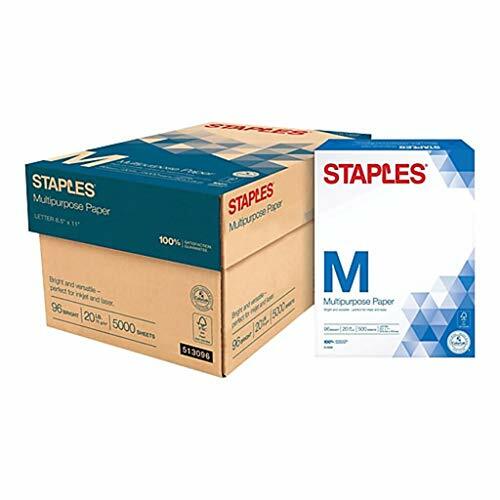 Staples multipurpose paper lets you easily print and copy documents without worrying about having different papers for each job. At 8 1/2" x 11", this paper is ideal for letters, memos, and in-house documents. Versatile use - you can use the sheets from this 20-pound paper pack in both laser and inkjet printers. 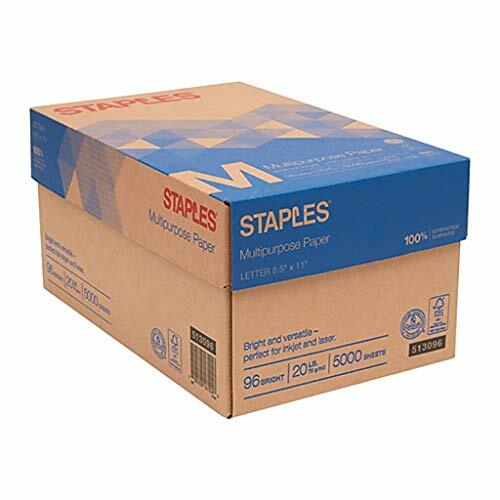 You can also rely on this paper for use in your office copy machine or fax machine. Looks great - at a brightness of us 96 and 109 European, this paper gives you great contrast every time. The acid-free paper also won't turn yellow over time or crumble at the edges.